Functional components for microfluidic devices designed to meet or exceed the tightest analytical performance requirements. Reduced samples and reagent volume, lower costs and shorter analysis times are just a few of the recent advances in microfluidic systems requiring enhanced analytical performance. High–fidelity multiplex and multiclass assays synergize components and advances in nanotechnology, molecular diagnostics, microfluidics and microelectronics. These technologies are being developed in new and powerful measurement tools within a small device footprint. Porex supports all microfluidic device functions and component needs with custom diagnostic solutions designed to meet or exceed the tightest analytical performance requirements. 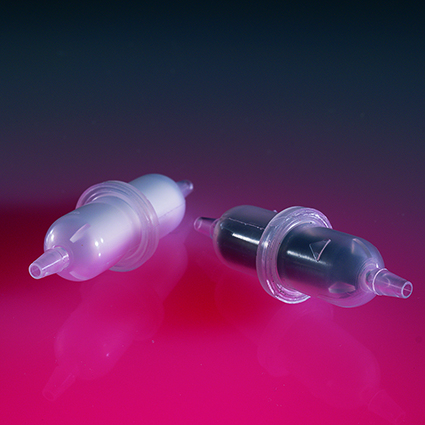 Clinical science products, media and filters from Porex are engineered to help ensure performance, purity, accuracy and reproducibility in demanding IVD, molecular and clinical diagnostic sample preparation, liquid handling and microfluidic applications. Certified Pure POREX® – Component materials certified by independent test labs to minimizes the risk of material interference and ensure optimal performance, accuracy and reproducibility. Easy to Manufacture – Our components materials can be easily inserted into your device using common manufacturing techniques including press fitting, heat staking and ultrasonic welding. Customizable Material Selection – Our proprietary material technologies and expertise in-house engineering team can help you determine the right material solution for any medical or diagnostic device. Minimizing interference with critical samples and assays – Certified Pure POREX® materials certified by independent test labs ensure optimal performance, accuracy and reproducibility. Making manufacturing easier – Our components can be easily inserted into your device using common manufacturing techniques including press fitting, heat staking and ultrasonic welding. Providing customized material solutions – Our proprietary material technology expertise can help find the right material solution for any microfluidic component need. Our INTAKE™ Reagent Filter removes particles wherever reagent is drawn from a master storage bottle, including automated instrumentation, bench top dispensers, and attached to an equipment line. 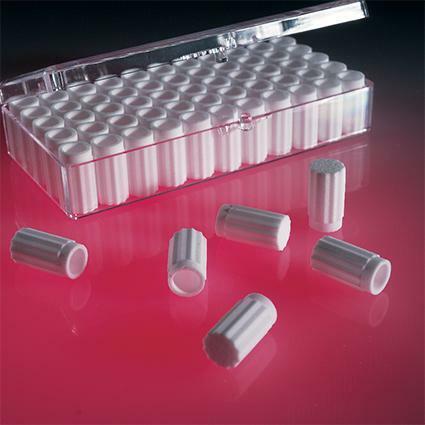 Available in a wide range of pore sizes and filters, this technology filters particulate matter down to 10 micron, helping lab technicians protect sample integrity with Certified Pure POREX® materials. Our intake filters remove particles wherever reagent is drawn from a master storage bottle, including automated instrumentation, bench top dispensers, and attached to an equipment line. Certified Pure POREX® - Component materials certified by independent test labs to minimizes the risk of material interference and ensure optimal performance, accuracy and reproducibility. Disposable Filters in Convenient Packaging - Intake filters are available in several quantities. POREX Inline Filters are used for filtering laboratory reagents, gas, air, fuel and a variety of other liquids. Technicians all around the world choose our inline air and gas filters for their most important applications. Torturous Flow Path Traps Particulates - Solid polyethylene housing and filter traps particles as small as 10um. Wide Range of Pore Sizes Available - Available in 10um, 25um and 125um pore sizes, and length of 2.394” (60.81 mm). ASTM Level Retention Efficiency - Per ASTM F795-88 in water with particle sizes of 35-30um.